Marvel Studios president Kevin Feige has said that the Avenger's roster will be "altered" by the end of Avengers: Age of Ultron. 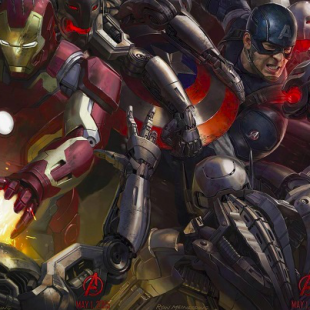 Earlier this month, rumors emerged that Avengers: Age of Ultron would deliver more than just an epic battle between Iron Man and the Hulk. According to unconfirmed reports, the movie would leave the Marvel cinematic universe in some pretty dire straights with the current Avengers team falling apart and being replaced by a new lineup. Well, it now would seem that the rumor mill got that one right. That, at least, is the indication of Marvel Studios president Kevin Feige who, speaking about the film today, confirmed that it would end with a different set of Avengers than the one it begins with. "[The movie's] like as it was in publishing, when each of the characters would go on their own adventures and then occasionally team up for a big, 12-issue mega-event," he said. "Then they would go back into their own comics, and be changed from whatever that event was. I envision the same thing occurring after this movie, because the [Avengers] roster is altered by the finale of [Age of Ultron]." Feige understandably declined to reveal who the new team would be made up of, but we're going to go ahead and assume that freshly introduced characters like Scarlet Witch, Quicksilver and Vision might make it onto the end of the film team, if only because they're new and shiny. Granted, some would probably still wish that Feige had been a bit more loose-lipped about the identity of the film's final Avengers. Even so, we're pretty confident people will forgive him for his secrecy. After all, the man did just reveal the entirety of Marvel's phase 3 film lineup.